Looking for commercial wall cleaning Bristol? Are your commercial building exterior walls looking dirty or are they covered in mould, has someone sprayed graffiti all over them and you are looking for a commercial wall cleaning Bristol company that can help get your exterior walls clean again, making them look like they did years ago then just contact CleanAndSealUK. Make your commercial property appealing again. Our commercial wall cleaning Bristol services cover the length and breadth of the country and we have your local cleaning experts ready and waiting to help you with your commercial wall cleaning Bristol requirements. Our UK external cleaning services are available 24 hours a day, ready and waiting if you have an emergency that requires our cleaning services. Professional commercial wall cleaning Bristol for your property. It doesn’t matter what cleaning service you require, here at Clean & Seal, we have the training, the equipment and the experienced and dedicated team necessary to provide you with a high quality external cleaning service. We have your commercial wall washing solutions. If you can’t get rid of stubborn stains or you are fed up cleaning mildew from your properties walls then you must contact CleanAndSealUk for your commercial wall cleaning Bristol solutions. Our experienced teams and remove mould, cleaning painted walls and prepping them before painting and cleaning mildew off any type of commercial buildings walls. We know how to clean marks – in fact our wall to wall cleaning covers every kind of cleaning possible, so get in contact with us for professional cleaning of your walls. Commercial wall sealing services that protect your walls but also let them breathe. 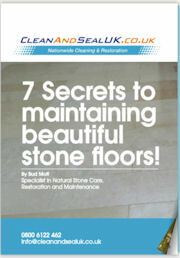 If you are looking for commercial wall sealing contact CleanAndSealUK. Our wall sealing services are available across the UK, so contact us for a free quote.